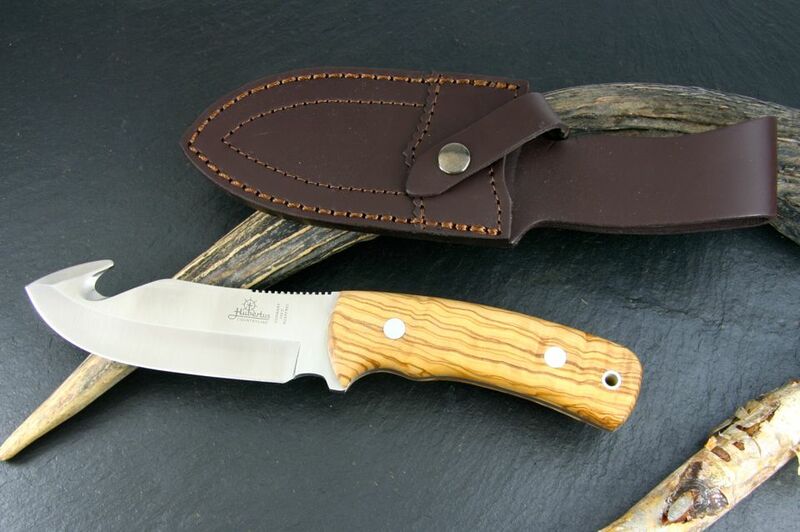 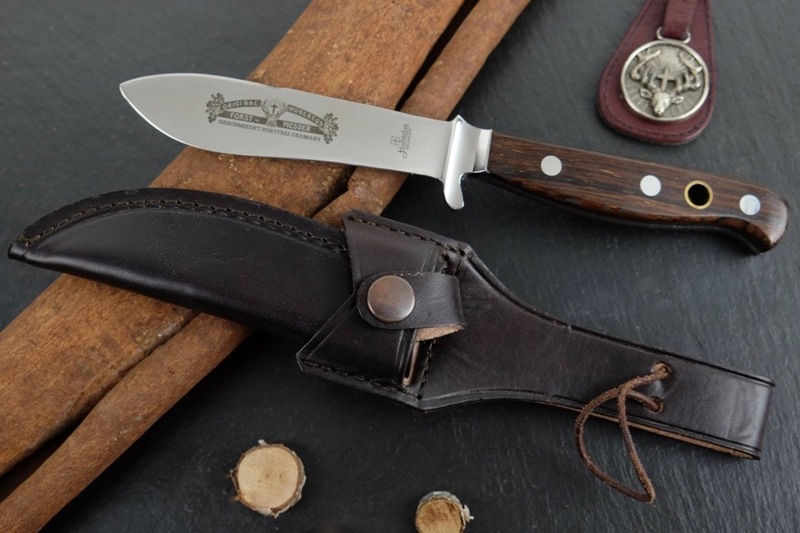 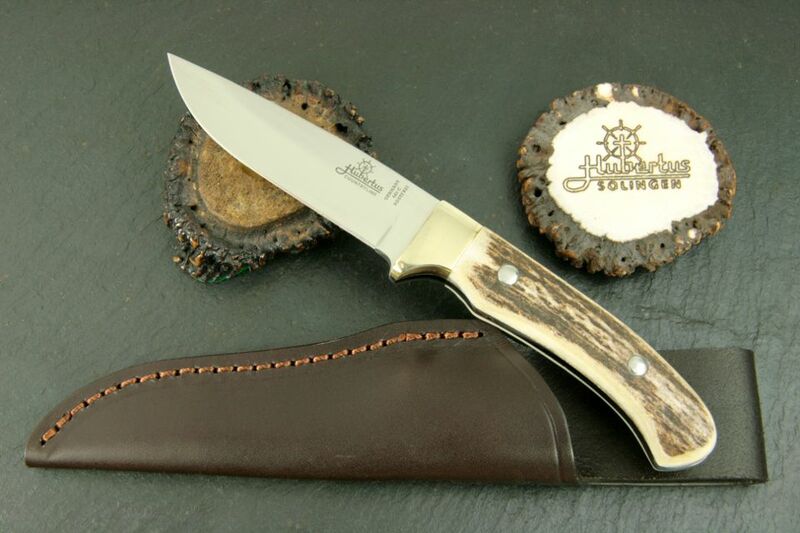 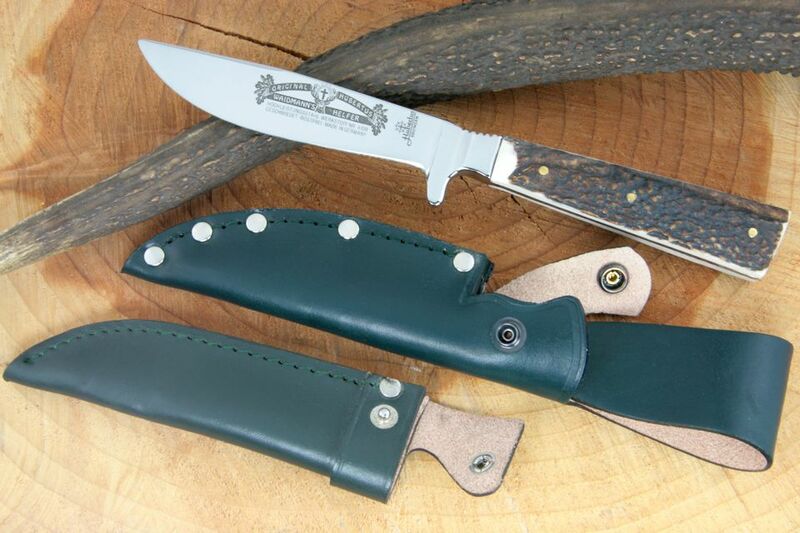 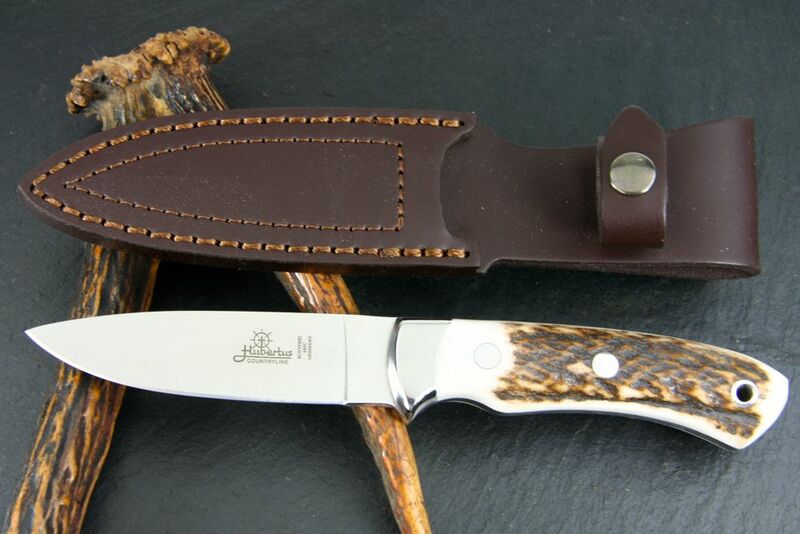 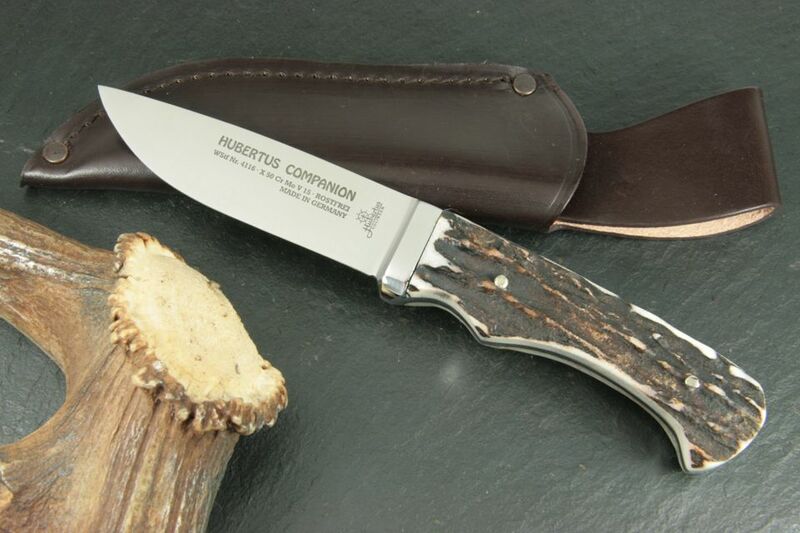 HUBERTUS "Fixed Bladed Hunting Knives" are characterised by one piece forged fixed blade with a flat handle part ("flat tang"). 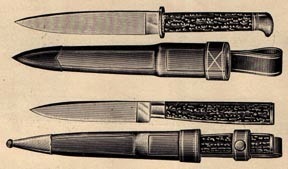 The handle slabs are riveted with the tang of the blade. 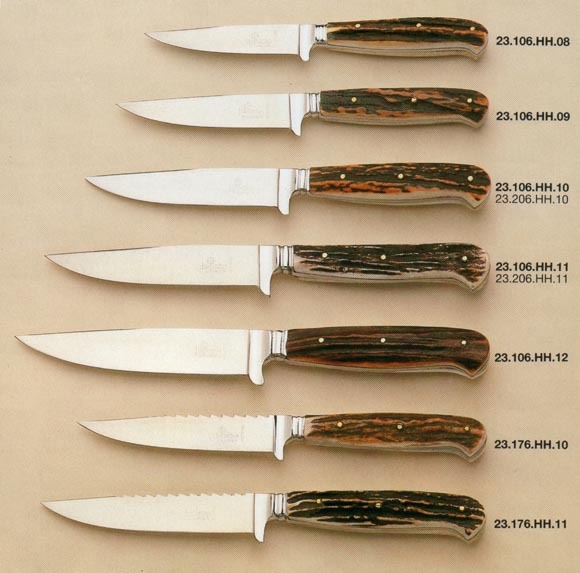 Traditionally these knives are equipped with genuine stag horn (deer horn - "Hirschhorn" (HH)) handle slabs. 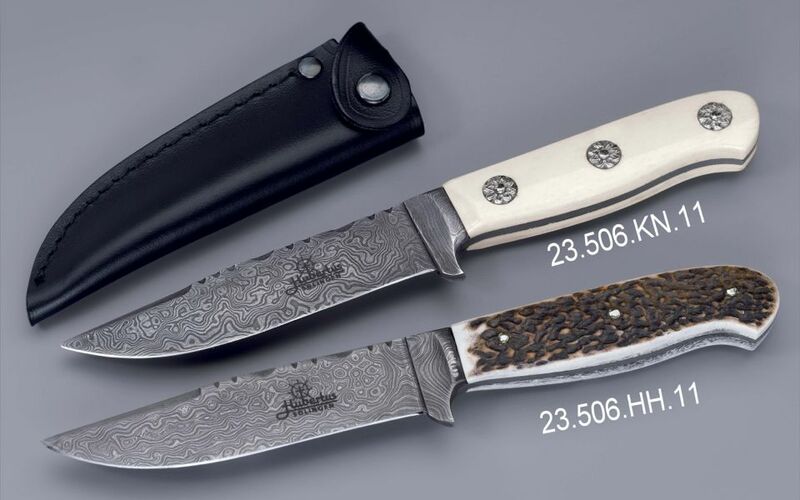 The handle might be equipped with folding toolings as additional components. 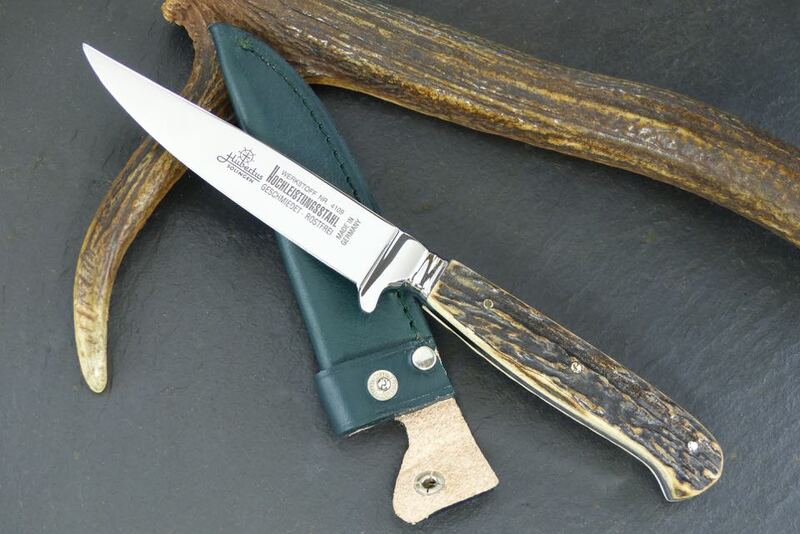 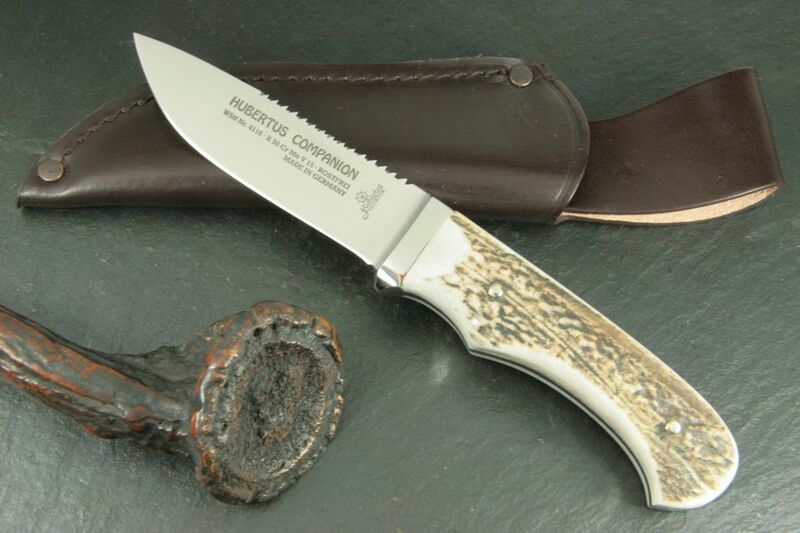 Branches, bone or antler formed the handles of fixed bladed knives till the 19th century. 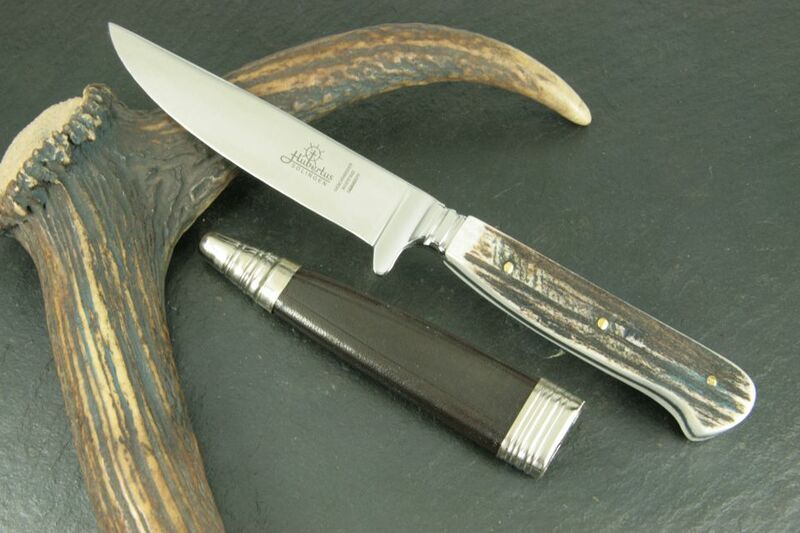 Due to the development of industrial manufacturing processes other natural products as buffalo horn or ivory could be used from the 19th century on. 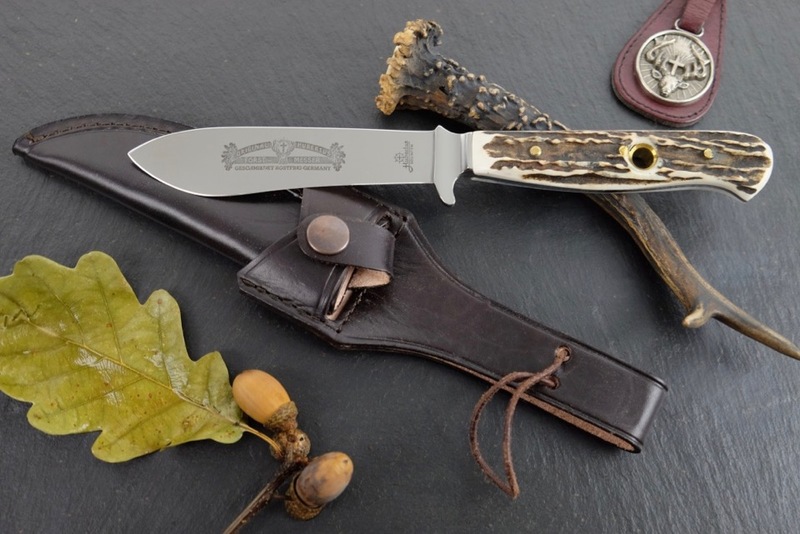 Blade thickness: 3.8 mm / 0.15"
Overall length: 19 cm / 7.48"
Blade length: 12 cm / 4.72"
Overall length: 24 cm / 9.45"
Blade length: 11 cm / 4.44"
Blade length: 11.5 cm / 4.53"
Blade thickness: 2.95 mm / 0.12"
Overall length: 23.5 cm / 0.93"
Blade length: 11.5 cm / 0.45"
Blade thickness: 4.5 mm / 0.18"
Overall length: 24 cm / 9.56"
We are offering various sheath options for fixed bladed hunting knives. 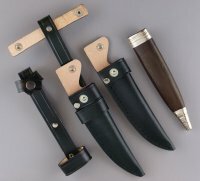 This is the standard sheath being carried in the leather pants (Lederhosen). 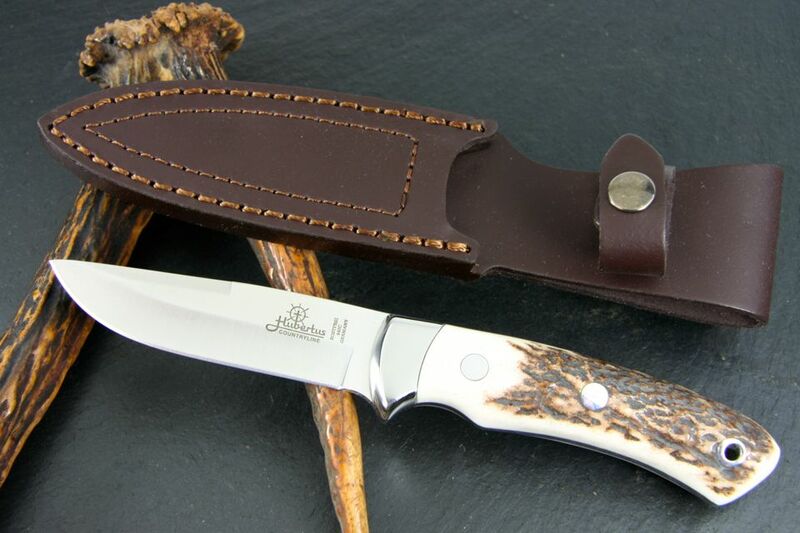 This is the standard sheath used by hunters.